Aug.22.2014 / Banner requests are open! + Banner requests are open! 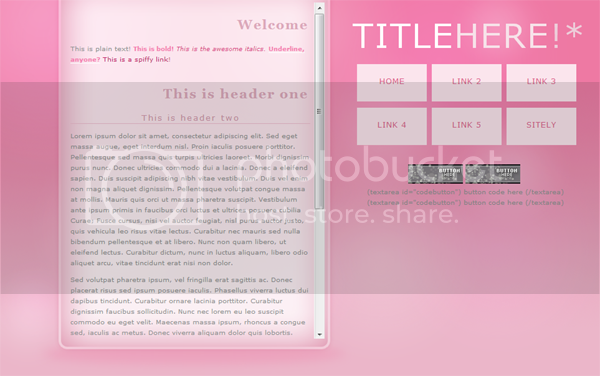 + Unfortunately, I've found a user who's taking TLB coding and is copying and pasting it for their "custom" layouts. In light of this, I'll be thinking about the premades and seeing if they should be removed from TLB. Please note that if any site is using stolen content, I will report immediately. + The affiliate section has also been updated. + Requests are now closed as I want to focus on buttons. If you didn't manage to get a request in, send me a neomail. If there's enough interest, I may open up requests again this weekend. + Banner and icon requests are open. The first five forms will be accepted. Keep an eye out on the updates as I may open it up after. + Side note: If you're ever wondering about open requests, please check the updates first. No need to neomail as I'll always post it here first! My name's Turnip and I'd like to give you a warm welcome to The Lunch Box. Since 2010, TLB has brought you a large selection of resources and graphics for any occasion. Whether it's a welcome sign for your shop, a wallpaper for your iPod, or a blank banner to spur your creative ideas, TLB has it! Not only that, this is a site with a bit of a twist. Be on the lookout for the story that is scattered throughout the pages. There's no particular order that you have to read it in, but the first part is below this introduction and the last part is on the sitely page. TLB isn't a site you can rush through, so take your time, relax, and enjoy your journey because you'll never know what you'll find in the box! when suddenly a box washes up to the shore. Strange, you think to yourself, it's a lunch box. The edges appear worn, as if it's been dropped on the ground multiple times. You open up the lid and upon looking inside, you notice that it's filled with treasure. Poking around, you pick up a small note. If you're reading this, then it must mean that I've lost my lunch box. Again. Well, it's unfortunate for me, but not for you! You see, I always pack the best so feel free to take a look around the lunch box. Hmm, I think I will, you mutter. If the lunch box is a sandwich, then the "extras" would be the pickles, mayo, and slice of cheese (hold the onion_ thanks). TLB Rankings Though the rankings are taken down, you can still read my old ranking explanations. TLB Events! Check this page to see if there are any contests that are currently up. F.A.Q. You pick up a small notebook called "Questions for the Curious". It seems like a manual about the lunch box. Site Alphabet Have you learned your site alphabet yet? With site tips from A to Z, be sure to give this mini-guide a read. Polling Station Step on up and enter the polling station where your opinion matters! Epilogue: The Professor Spurred by curiousity, you decide to do some extra research. Good thing there's a renowned professor in Neopia that studies...lunch boxes? Service Survey Have you requested from TLB lately? How was the experience? Fill out this quick and easy survey to help me improve the service at this site! Looking for something specific? Here's a list of all the links you need! Congratulations to Ayla (14/7/2013 04:28pm) for being the first person to send in a screenshot of TLB's 50K visitors! Other participants include: Ella, Maddie, Dizzy, Meg, Jenny, Deanna, Edith. If you didn't get a custom layout, in this event, not to worry! Keep an eye out for open petpage requests in the coming weeks. Note: No NP or items are given away as prizes. The prizes only contain graphics/layouts made by me. Service is one of the most important parts of any request site, so I'd love to hear some feedback and hopefully improve! Here's a short list of questions you can answer. Some of the questions may not apply to you, so feel free to skip over questions you don't want to answer. Your response can be as long or short as you want. You can use this spiffy textbox below to keep track of your answers as well! 1) Have you ever requested a graphic from TLB? If your answer is yes, what was it (banner, icon, etc.) and how many? If your answer is no, why not? 4) How would you rate TLB's service on a scale of 1 (poor) - 10 (excellent)? Feel free to give additional comments as well. 6) In terms of TLB's service, what changes would make it easier for visitors to request or improve the overall atmosphere? 7) If you have requested from TLB before, would you recommend this service to your friends? 8) You can write additional comments here based on what you've seen at TLB, what you've heard from your friends, or any other suggestions you'd like to see. Thanks for taking the time to answer these questions! My goal is to provide high-quality service so your responses will help me do just that. For full responses, check out TLB Corner! - The story at the bottom of TLB's front page. - The final chapter at the end of TLB's sitely page. - The epilogue where you meet the professor. - The story introduction at Frequent Flyer. - The story at the bottom of Open Eyes front page. - The bulk of the storyline at Open Eyes can only be accessed when you request using the "story mode". - If you've never requested from Open Eyes, then there's a very quick summary of all three possible story endings here (this last link is the most important part of the story as it ties all three sites together). -	How does Turnip have the power to recall the lunch box whenever she wants? -	Why does the lunch box randomly disappear for people and why doesn't it disappear for Turnip? -	Why must Turnip constantly travel across Neopia? - If you don't want to "spoil" yourself, try following the "general order of storyline" above. It's been a year since you found the lunch box and still, the mystery is at the forefront of your mind. Though you learned a lot from the professor, it still wasn't enough and being the hopeful detective, you decide to set out on your own journey. In your previous meeting with the professor, she told you that one Neopian apparently had the ability to recall the lunch box whenever they wanted to. This was strange phenomenon since no other person could do this and before the professor left in a hurry, you managed to write down the name of this Neopian and where they lived. Walking along the sandy roads of Lost Desert, you stop in front of a large estate. Am I at the right place? 85902...yes, that's the house number. This must be Turnip's house. Walking up the cobblestone path, you reach the door and give a loud knock. A small gasp escapes you as the door strangely begins to open on its own. Hello? Um, Miss Turnip? Although knowing it was rude to enter a house without someone's permission, you can't help but think, I'm too close! I need to know the mystery of the lunch box! You carefully step inside the house, closing the door behind you. It seems as if this place has been deserted for quite some time, you think to yourself. Dust sprinkled the floors and tabletops and spyders were contently hanging in the corners of the room, filled with cobwebs and flies. As you investigate further, you enter a room that must have been Turnip's office. Your jaw drops as you take in some of the photographs lining the walls. Goodness, you say out loud, she's met everyone! You pick up one of the pictures of Turnip and MAGAX. The two were enjoying a Dandelion and Burdock Drink, looking directly at the camera ñ Turnip, with a silly grin and the wocky with his typical scowl. Like the previous picture, this one seemed to be taken in secret as well since neither of the two figures shaking hands in the portrait were aware of the cameraman. Turnip and Queen Fyora stood in front of each other, their hands clasped as if an agreement had just taken place. The professor said that it was Queen Fyora that had given Turnip the lunch box in the first place! This picture may be the proof of it. Taking a closer look, you notice that the faces of both the Queen and Turnip looked grim. In Queen Fyora's eyes, you thought she looked sympathetic and sad. On Turnip's face, there was a look of determination. Things are getting stranger... After combing through the house, you decide it's time to leave for Faerieland. Perhaps the Queen herself can answer some questions. As you exit the house, you bump into something hard, falling flat on your face. Ouch, watch where you're going! Hey, wait a minute. What are you doing in Turnip's house? You look up to see a finely dressed skeith frowning at you. Uh..er..what are you doing at Turnip's house? you counter, not too bravely. The skeith smoothes his silk tie, gives you a smug look and says, I'm her banker, of course. Turnip has an account with us and it's my job to make sure she remembers to collect her daily interest. As you pull yourself up, you can't help but ask, do you know her, sir? I need to find her right away. It's important! It's about a lunch - Before you could finish your sentence, the great skeith bellows, ahhhh, I see. You want to book a vacation. Well, I'll write down the name of her travel agency, Frequent Flyer. There you go, kid. The skeith left, his thundering footsteps becoming quieter and quieter. Turnip's a...travel agent? You mutter, walking away from the house. I suppose it does make sense. I mean, judging by the photos in that room, she must have been all over Neopia! I'm a step closer on my quest. Now, let's go find that travel agency! A few hours later, you finally arrive at Frequent Flyer, Turnip's travel agency, only to be disappointed. Oh no, you groan, it's currently closed! Wait a minute, what's this? You walk closer to the front door and notice a small sign that reads: Sorry for the inconvenience but I won't be in for the next few weeks! If there's an emergency (like meepits overrunning the building again), please contact me here. Thanks! Quickly jotting down some notes, you wonder, why is Turnip in Mystery Island? Well, only one way to find out! Again, you set off on your journey, this time travelling to the jungles of Mystery Island. By the time your ferry reaches the sandy shores of this idyllic island, you're completely and utterly exhausted. However, this doesn't deter you from your quest and you begin to walk along the beach to figure out your next move. All this travelling, you groan, I wonder how Turnip puts up with it! I'm so tired I might collapse on this beach! You hear a small laugh behind you, oh, it's not that bad! You get used to it after a while. Surprised that you're not alone, you whip around to find a girl smiling at you. It was her ñ the girl the professor talked about, the one in the photo with Queen Fyora ñ it was Turnip. I finally found you! You shout with joy, oh, ahem. I've been searching for you for a long time. Chuckling quietly, Turnip replies, I know! I saw you standing outside Frequent Flyer. What she said confused you and you think to yourself, wait a minute! If she was in Mystery Island when I was at her travel agency in Meridell, how could she have seen me? She couldn't have been in two places at once. Turnip chuckles again and says, I have my ways. That she was somehow able to hear your thoughts made you wary, but you feel that the answers are within your grasp. Regardless of what you're feeling, you push on. Running to catch up with her, you wonder what you'll ask her first. Again, it was as if she could read your mind as she says, don't worry about that. You'll have plenty of time to get your answers. Besides, it's not every day someone manages to track me down. You must be quite special! Anyways, we'll talk when we get there. As the two of you enter the house, Turnip says, make yourself at home! Let me get some aged tchea juice for us. Settling down on the couch, you accept the glass of tchea fruit from Turnip and take a small sip. Queen Fyora came across the lunch box a long time ago, and for years it's been locked in the hidden tower. The magical properties of Faerieland made it so that the box couldn't disappear. Effectively, it was caged and the Queen could examine it at her will. She had her scholars study the strange artifact and came to realize that it held great power ñ potentially dangerous power. You must know by now that the lunch box has a lot of magical abilities. When you open it, whatever you need is in there. The box itself doesn't know who it appears to, as it's seemingly programmed to appear to anyone who's in need. Now, here's the serious part. Because this artefact only distinguishes those who "need" something and those that don't, it may appear to...dangerous people. Imagine the power that they could wield having an all-powerful lunch box that contained whatever they could possibly think of! Imagine just how much the evils of Neopia could stand to gain. Though I said the lunch box came to Queen Fyora, that is a bit untrue. In truth, it showed itself to none other than Jhudora. 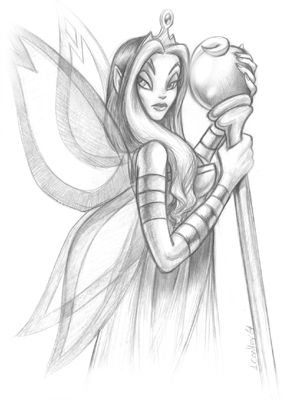 She meant to use its immense power for dark purposes, but Illusen managed to grab hold of the box and spirit it away. Travelling from Meridell to Faerieland, it was then that the Queen came into possession of the box. To continue, all you know of the lunch box is how it offers aid to those who need it, but it can also be a dangerous weapon. Queen Fyora understood this, but she knew that the box was also a gift, one that truly helped the good citizens of Neopia when they're in trouble. She debated with herself on the fate of the lunch box: should she leave it in the tower where it'll be kept safe from the evil villains of Neopia? But if locked away forever, the general public would not benefit from the box's special powers. It was then what the Queen called upon my services. I had been making a name for myself in Mystery Island, reading people's dreams and interpreting them. However, it seemed the Queen knew of my other ability: to dream the future. When I arrived at her castle, I had already known what was going to be asked of me, but I tried to put on a brave face nonetheless. After explaining the dangers and gifts the lunch box had to offer, she said, The powers of this lunch box can be disastrous, but in the right hands, it can help so many. However, I cannot release the box back into Neopia without proper precautions. It needs to be guarded at all times. Putting the box aside, she holds up a small stone that shone bright green when held up in the light. This rare stone can be used to tie the fate of one person to the lunch box. This stone can also be used to sever a tie. However, it's unfortunate but this is the only stone of its type in Neopia. Once it's activated, it will be destroyed. If it's used, the tie between the person and the box cannot be undone - not by any magic or potion. citizen of Lost Desert, I now ask you to bear the heaviest burden I could possibly ask of you ñ of anyone. Will you tie your fate to the lunch box? If your destinies are tied together, then you'll be able to foresee in your dreams where the lunch box will travel to next. Thus, you can simply bring the box there instead of having it disappear without a trace where it could get intercepted by those who would use the box for evil. With that, she pauses and looks at me. I was too frightened to give some eloquent speech or reassure her that I'd do my best so I simply say, yes. She then instructed me to hold the stone in one hand and the box in the other. Holding a piece of paper in front of me, the Queen told me to read the words out loud. As I did, I felt...strange, as if I grew lighter somehow. When I finished the words, a loud crack was heard and when I looked down, I saw that the green stone had shattered and turned completely black. Thus, my fate was tied to the box and could never be undone. And so, that is how I came into possession of the lunch box. It was only later that I realized I also gained the power to recall the artefact from a distance. Ahaha, I suppose it saves me the time of sneaking into someone's neohome and retrieving it before they wake up! As Turnip ends her story, you can't help but feel a sense of awe and you think to yourself, that lunch box - the one that holds both devastating and amazing powers ñ once came to me! She gives a hearty laugh and says, that reminds me of another story. About a year ago, I had a dream one night. In my dream, there was a lone figure sitting on the beaches of Roo Island. I had the overwhelming sensation that they needed the lunch box, so, I chartered a boat and began sailing. Stopping a long way out since I didn't want them to see me, I simply threw the lunch box overboard. Turnip pauses, as if contemplating her next words. It was good to see that the lunch box made its way safely to shore...to you. You give a startled gasp, that's exactly how it came to me. You...threw it overboard? She laughs again and replies, don't worry! It was completely safe. I knew it would drift inland. The two of you settled into comfortable silence, drinking the tchea juice, when suddenly Turnip jolts up in surprise. What's wrong? you ask. She looks at you, as if she didn't realize you were there. Oh, nothing! It's just...well, I'm needed in Moltara. Oh, rather, the lunch box is needed in Moltara. Alas, I suppose this is goodbye for now. Before you could say another word, she dashes to her desk, pulling out a crumpled piece of paper. Walking over to where you were sitting, she hands it to you. What's this? you ask Turnip. She gives you a knowing smile and says, that's the paper Queen Fyora held in front of me as I tied my fate to that of the lunch box. I know the words by heart, but perhaps you'll find some use for it. Now, if you excuse me, I really do have to get going! Anytime you're in Meridell or Mystery Island, do stop by! Until next time, friend. All men dream: but not equally. Those who dream by night in the dusty recesses of their minds wake in the day to find that it was vanity: but the dreamers of the day are dangerous men, for they may act their dream with open eyes, to make it possible..."
You tuck the paper safely into your pocket, feeling as if you've been given a great gift. Walking away from Turnip's house, you find yourself back along the sandy beaches. Gazing out upon the sun drifting beyond the horizon, you think to yourself, hmm, I wonder who will find the lunch box next? This isn't your traditional tutorial where I give you a step-by-step guide on how to succeed at being a site owner. Where's the fun in that? Instead, how about I offer some tips ñ TLB style. For each letter of the alphabet, I'll name one thing I think is important to site making in general. Getting affiliates not only advertises your own page, but it establishes a bond between the two sites. I know that I can always neomail my affies if I have a question and in many respects, you can consider your group of affiliates to be sort of like a "mini-guild" of site owners. As the owner of a site, they're in the same position you are, and face similar challenges as well. Here's a list of FAQs regarding affiliates. Should I limit how many affies I have? How you view the idea of "affiliates" will directly relate to whether or not you decide to limit the number of sites. Affiliates are great for advertising your site, so you might think that you'd want a large number. The more affiliates you have, the more likely a visitor will find your button. However, keep in mind that affiliates aren't only for advertising. Directories are more useful in this regard. Anything in excess of 30 is a bit too many. You're a site, not a link directory. That being said, being an affiliate should have some semblance of importance to it. Things like sister/brother sites should definitely be limited to one or at the most, two sites. What's the point of having 3+ sister sites? The larger the number, the lower the importance. So, how many affiliates should you have at least? There's no right or wrong answer, and the number of affiliates might even depend on your type of site. In general, you should look for at least 10 affiliates. Is it alright to remove an affiliate? Absolutely! Some site owners do this, while others don't ñ it's completely up to you! It isn't "mean" or "rude" to remove an affiliate if they aren't being active enough or if the quality of their site has dipped. Should I only accept high-quality sites? If you're more interested in being advertised, then limiting your affies to high-quality sites would be the better option. High-quality sites are more likely to have more visitors in the long run. Also, your affiliates reflect your own site. Visitors sometimes think that if a site if affiliated with a certain page, then they offer similar quality content. This is completely up to you! Should my affiliate's site be similar to my own? For example, if I'm a directory, should I only search for directories to be affies with? Again, this is up to the discretion of the site owner. Do you think it's important to have sites of the same category only? Sometimes visitors will check the affiliates to look for similar pages or content, so it may be useful to affiliate with a few similar sites. Personally, I look for high-quality, active sites but they don't necessarily have to be graphic/request sites. - Don't be afraid of being rejected ñ it happens and it's just part of the process. Don't be discouraged if another site owner doesn't want to be affiliates with your site. - Does the site owner list any conditions? For example, are they looking to be affiliate with only button request sites? Are they looking for high-quality applicants? Keep these things in mind when applying. A site is always in need of high-quality link back buttons. As the "business cards" for your page, buttons have a direct effect on whether or not a visitor will click on it. If your button is low-quality, chances are people won't be impressed, thinking that you offer similar quality content, and they'll just skip over your site. Having at least 3 or 4 high-quality buttons when your site is completely finished and ready to open is a great idea! Take a trip to The Shelf Directory to find button requests sites. Be sure to take a close look at their portfolio to see whether or not you're satisfied with their quality. Other people will be visiting your site so it's best to pay attention to things that make it convenient for them as they browse through various pages. Though you may be the site owner, the majority of your site's traffic will be from outside visitors. Here are just a few areas to focus on. - Are my menu links in a clear and easy to reach place? Or is it hidden and too hard to read? - How many clicks does it take for a visitor to get to the content? - Is there any way I can simplify my navigation? Neomail links should go to your userlookup so that the visitor will know who to send the neomail to. If your links take them to the actual neomail page instead, be sure to include your username near the link. If you ever say something like "Feel free to contact me" (i.e. anything that relates to the idea of neomailing you), then you should include a userlookup or neomail link. In general, convenience is all about making it easier for the visitor to access content on your site. Their experience at any given site is heavily influenced by how convenient things are and may even be the deciding factor as to whether or not they return. For more on visitor convenience, check out How To Offer Great Service. When you feel that your site is complete and ready, you should get listed at a number of directories to spread the word. Directories are very useful; both for site owners and people who need to find a certain site or look for specific content. Getting listed at more directories means more advertising for you. Here is a list of some of the most popular directories. The more directories you're listed at, the more likely someone will come across your page. If you only want to get listed at a handful of directories (two or three), then do some research and get listed at the more popular or larger ones. This is because they're more well known and would experience heavier visitor traffic. Since getting listed is about advertising your site, take into account the quality and visitor traffic of any given directory. There's no point in getting listed at a very low-quality directory that gets 1 visitor per day. Instead, wait for them to improve their site so that your own page has a chance of being well advertised. A site isn't just about its graphics, its layout, or its requests. A site includes everything. Not only do you need to pay close attention to the big picture, but you can't forget the small details as well. What do I mean by this? Here are some examples. - The final "polish" of a site: when you visit a site, do you get the feeling that it's half-complete? Or are the major sections finished for the most part? - The quality of the content: whether you're offering button requests or site reviews, offering high-quality content is important. 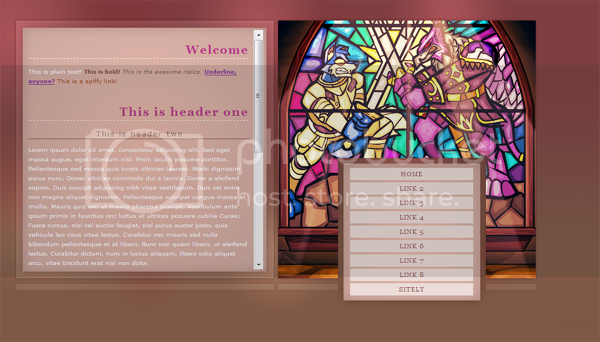 - Making sure your textbox aligns with the image above it. For instance, if you're providing the code for one of your link back buttons, make sure that the width of your textbox is 88 pixels. This just keeps things neat and tidy. - Adding a "back" or "back to the top" button when you have multiple anchored pages makes navigation more convenient. - Aligning your paragraphs to the left, instead of in the center makes for easier reading. In essence, the big picture is what people will notice first, but the small details are the ones that people will remember. Let visitors know that their feedback is appreciated. Post a topic on the help board. There are a lot of great reviewers out there that focus on improving sites. With so many review sites to choose from and so many different review criteria, you'll get all of the feedback you could possible want! Be sure to visit your favourite link directory for a more comprehensive list! At the end of it all, the feedback you get are opinions and they're most likely going to be varied. That's why you need to get a lot of it from a lot of different people. Two reviewers may say completely different things so you should focus on the way they reason (the why aspect). On another note, you shouldn't be applying for a review just because you think you can get a good score. This isn't fair to the reviewer as it's wasting their time. They are there to help sites improve ñ not give you an A+. If you don't intend to make changes, and you aren't serious about improving your site, don't get a review. Since the majority of review sites operate with some form of a grading scale, it's important to keep in mind that your score is a representation of your site at the moment. If you get a 54/100, it doesn't mean that you should give up, just that certain areas of your site are lacking some key features. Understand that some reviewers are more experienced at their trade than others. They offer you more in-depth explanations and hardly ever let their own biases colour what they say. Take everything with a grain a salt and like I said above, look at how they explain their opinions. For example, "Your layout left a negative impression" is an example of a poorly constructed review. On the other hand, "Your layout left a negative impression because of this and this.." is an indicator that the reviewer is giving useful feedback as they're explaining their opinions. Finally, you shouldn't make changes to your site if it's not what you're comfortable with. If a review tells you that your icons need more text on them and you absolutely hate putting text on icons, that's enough reason for you to keep things the way they are and say I appreciate your feedback, but I like creating my graphics in my own style. If, on the other hand, the reviewer says that your icons are low-quality because they appear blurry and have jagged edges, then this is a valid point and you could consider working on what they noted. Putting additional graphics here and there will add colour and brighten your page up. Using resources for bullet points is a great idea to make an otherwise mundane part of your site look livelier. Another place people put graphics is near their introductory paragraph. Usually, things like small avatars, icons, or pixels are used. Though graphics do make your page more colourful, be sure not to overuse it. It'll bog down loading times, increase bandwidth, and make your site look messy and less professional. You get the picture. Site "housekeeping" make up the smaller updates that often occur behind-the-scenes. Now, these types of updates are sometimes boring and mundane and something that we wish we could avoid but can't. Just remember that even though they aren't as major as content or layout updates, these "chores" are still necessary. They keep your site running efficiently. Ok, I slightly cheated here by including two things but they both start with i, so I'll leave it. First, let's talk about inspiration. Being inspired by a site you admire is always a great thing. It becomes your starting point and gives you something to aspire to. However, just because you're inspired by another site, doesn't mean you can copy. If you're inspired by someone's resources, that's not giving you a free pass to go out and recreate the exact same thing in slightly different colours. So, you've seen a great site and you think they make the most wonderful buttons/banners/resources/layout/whatever. You're inspired to create your own site and offer content to people as well. What do you do now? Where do you go once you've been inspired? Well, now you innovate. Innovation (or in other words, originality) is all about creating something that is completely your own. If you think those Faerie pixels are just the most adorable things in the world and you want to create your own, stop for a moment and think before you start up MS Paint. Think about how you're going to turn your inspiration into innovation ñ how you'll create something new from something you've seen. It's a hard process, because you can't just slap on a new coat of paint and say, "This is entirely my work". Authenticity is hard to achieve, especially when you're utterly inspired by something that you want to create images just like it. Why am I inspired by this particular site? Is it because they have awesome shading in their pixels? Is it because of their unique button borders? What aspects of this site would I want to include on my page? Will I need permission from the site owner to incorporate this in my own site? How can I make this feature my own? Rather than recreate, be sure to innovate! Use your own personality and creativity. Is my content copying or is it a unique creation? Who do call when you need help? The Ghostbusters? Well, unless you have a supernatural problem, the Ghostbusters won't be able to help you with your site. As site makers, we form a "community" of sorts. Remember how site owners rallied together to help each other out during the "filter crisis"? That's just the kind of things we do ñ help each other out whenever there's problems at our doorstep. Always remember: if you need help, just ask for it. Site owners you approach aren't going to bite if you ask a simple question! Really, we're a friendly folk! A lot more site owners have an open door policy, where if you need help with anything you can just neomail them. Need help with your site? Need some ideas? Want a second opinion? You've got it. It's easy to get caught up in the latest site making fads, so it's important to know yourself ñ know what your strengths are, what your weaknesses are, and probably most important, know what you're willing or not willing to compromise on your site. Why not write down a list of your strengths and weaknesses? For instance, my strength is that I'm service-oriented and try to do the best I can for visitors. My weakness is that I tend to focus on one area of my site more than others. Putting down your strengths/weaknesses on paper will give you a better understanding of what problems you might face when starting or maintaining a site. Compromise is a big part of any site owner's job because you've created a page that many people will be checking out. They have certain expectations for you. One of the biggest factors here is time - how much time are you willing to put into your site. We all have lives outside of our sites, so it's important to pay attention to that as well. On one hand, site owners have obligations to their visitors, whether it's updating a few times a week to making sure your graphic requests are open. Knowing how busy you are will help you effectively balance your schedule. Lastly, know what your likes and dislikes are in terms of content. For example, sticking to your own style rather than giving in to the latest graphic/button/layout trends. Not only will you be offering something unique to visitors, but it'll set you apart from your fellow site makers as well. Owning a site is an experience you can learn a lot from. It takes hard work, dedication, and a lot of hours. Every site is going to hit a snag now and then, and it's in these moments that you can learn the most about your abilities as a site owner. Always keep your head up. Remember: you haven't failed, you're just experiencing a set-back that you'll eventually overcome. It isn't all bad news. When your site is successful, it's a very gratifying feeling and you should remember to take a moment and pat yourself on the back. You've earned it! From the moment you get your first piece of fan mail, to when you're ranked at various sites, keep in mind what it took to get to that point. Being a site owner is a lot of responsibility because people visiting your site will be counting on you. At times, owning a site can feel like a part-time job. This isn't necessarily a bad thing because with any job, it means you understand that you have certain obligations now. If you've requested some reviews, take some time to really understand their views. They're looking at your site from the perspective of a visitor. The only difference is that they're talking to you about it. Their views are only opinions which can be refuted, so the important thing to learn here is how do different people view your site. Sometimes, a change is needed in order to continue, even if things have been the same for so long. Take my site, How To Offer Great Service, as an example. Before I wrote that guide, not a lot of request sites even cared about offering high-quality service. Now, it's a major focus for most people. Learning to change means understanding how changes can be for the better. More places are switching their focus to their visitors instead of themselves. Changes like this can be hard, but learning that they make a difference is part of the success. Whether you're making a site as a hobby or hoping to offer a valuable service to other Neopians, you need to keep yourself motivated through difficult times. Some days you might not want to even touch your coding or update your site, which is completely fine. However, when it lasts for a long time (longer than a usual hiatus), you might want to starting thinking about the important questions. Why am I losing motivation? Though it may be hard to answer this at first, really look at the factors that are making you less motivated. For example, is it because you're not interested in making graphics anymore? Are you too busy with other things to bother with your site? Do you think you're not capable of creating high-quality content? By pinpointing the reason for your unmotivated behaviour with your site, you can work on moving forward with your site, or choose to close it down. Do I want to continue with my site? Sometimes sites close because of a lack of motivation. It's just the way things work. However, if you really do want to keep working on your site, then let's move on. Trying something new. Maybe you're unmotivated because you're feeling as if you're repeating the same motions again and again. If you feel that your site has gotten a little stale, why not mix things up? Add content to your site that you wouldn't normally add. For example, if you're a graphics site, why not work on some interesting new sections, like resources? If you're a review site, try and come up with new creative rubrics. Adding something "fresh" to your site keeps things alive. Too busy right now! The busier you become, the less likely you'll create new content for your site or even sit down to update. If this is the case, then you'll lose motivation fast. Try to keep your interest in your site up by spending a few minutes a day browsing through your pages as a visitor. Seeing your hard work can really motivate you because you'll want to add more content and new things. Or, you could put aside some time in your busy day to gradually update. For example, try making graphics in "small steps." Today you choose a specific image and crop it, and then tomorrow you can colourize it and add textures. You can even save the uploading for the day after that, and then code the next day. The point is, make time for your site because you care about it, not because you feel you need to update. These are names that tell the visitor something about the site. For example, Soroptimist Directory is a great example of an informative name. It's a link directory and the site name has that word in it! Though generally less 'creative' than other site names, these informative names are useful because they allow visitors to quickly understand what a site's all about. These are site names that relate to a specific story of theme at a site. An easy example to give is my own, The Lunch Box! The 'lunch box' is not only the site's name but it's also a central object in the story that visitors can find on various pages as they browse through TLB. In general, story names don't tell a visitor a lot about the site if they're just reading it. In other words, it doesn't really tell a person a lot about what a site offers. Not a lot of sites have this type of name, but generally speaking, the name is most likely a short phrase that describes what the owner's goal is. For example, Third Impression is a review site and based on that fact, it's very easy to see why it's called that (why stop at getting a second impression when you can continue on and get a third impression?). The best example here is Foomanshu, a word made up by the site owners. Completely random site names need not be "made up", but can just be a random word or phrase that has no connection to the site content, site owner's goals, or theme. Not sure what to name your site? Here are some ideas to get you started. Remember: a site name is important because it reflects your creativity, so don't be afraid to think outside the box. "The Lunch Box" might not seem like a name for a graphics site, but it's all about how I used it to create a story and theme. These names would be great for graphics or premade sites, but feel free to use them for whatever you want! One of my favourites from this list is "Optic Sense". It's modern, catchy and really implies a visual sort of petpage. Also, when I think of "Drama Dramatic", I imagine a graphics/button request site with bold colours and eye-catching design. Some of these names would lend themselves to a great theme. For example, "Make the Grade" could be used for a review site and the theme could be a classroom setting. It's up to you whether or not sites get a passing grade or maybe need a little more studying. Sometimes reading through a list of random words can also give you an idea! Synoptic:presenting a summary or general view of a whole; "a synoptic presentation of a physical theory"
Have you snatched up a name? Neomail me so I can take it off the list. - Think about whether your site name should be one word or a short phrase. Examples of "one word" site names include Opulence, Desire, Effects, Seraphic, and Fleur. Examples of site names that are "short phrases" include Simply Amazing, Chinensis Designs, and Fine Tuning. - If your site is going to be a guide or tutorial of some sort, stick with informative names. If you take a look at the coding and design section at Soroptimist Directory, note how all of the site names tell you something about their content. These pages are meant to inform, so the site name should do the same. Sites like graphics, reviews, and pixels are more creative in their content offering so it stands to reason that using a more abstract name would be fine. A huge aspect of maintaining your site is organization. How your layout is designed, where you put your content, and how you organize each page is just a sample of what "organization" means. Most sites use an anchored style layout, meaning their content is only accessible through navigating the menu links. This is an extremely effective way of managing your content - you can put your banners on this anchored div, your icons in another, your sitely information in another div, and so on and so forth. Organization also means that your main links follow a natural progression through your site. For example, let's say there's two button request sites. Button request site "A" has organized their links in this order: Home, Updates, Rules, Request, Pick-up, Portfolio, Extras, Sitely. Button request site "B" has organized their links in this order: Home, Sitely, Extras, Portfolio, Pick-up, Rules, Request. When you go to a button request site, you're probably there because you need a button. So, if you're going to request one you'll (hopefully) read the rules. After reading them, you'll go to the request page. Note how site "A" has their links in a nice, orderly fashion that leads the visitor from one page of their site to another. Site "B" has a very strange order as it doesn't follow a natural progression. Visual organization is another crucial factor which can make or break how visitors browse your content. Are your putting content beside each other or are you dumping them all in one long column? Click here for a quick guide on how to organize your content horizontally. Creating a site is just the beginning of the very long road of maintaining a site. You'll be constantly working on it and improving it over time. Your abilities as a site owner will not only be tested in the quality of your content or your coding skills, but also by your professionalism and how you conduct yourself. From your introductory paragraph to your list of credits, every aspect of your site speaks to the visitor. Professionalism is a very broad term but in general, it's how you present yourself on your site. Are you using proper spelling and grammar or are you using chat speak? Are you writing with an assertive and friendly tone, or are you angry and berating your visitors? I've written loads on the idea of professionalism, so why not check out chapters on professionalism in text and visuals and the importance of tone and attitude from How To Offer Great Service. While most think that quality is the most important aspect of your content, you can't forget about quantity as well. What use is a site if it offers extremely high-quality banners but there's only 3 of them to choose from? Giving your visitors options and choice is one way to keep your site relevant. On the flip side, you don't want to simply offer as much as you can without paying attention to substance. Having 50 low-quality icons is not a way to get re-visits to your site because people will be turned away by the poor content. In general, when you're starting a site you want to focus on improving your quality to a consistent level. Once you know that you and your visitors are satisfied with the quality of your content, then focus on quantity and increasing the amount of content you offer. Respect your fellow site owners. We're all part of the site making community so you don't want to be burning bridges by doing silly things like being rude. Part of this "respect" comes in the form of proper crediting, which is - unfortunately - an increasing problem especially with new site owners. I've even come across owners who don't like to credit because it "doesn't look good on their page" or it looks "messy". This is not acceptable. Proper crediting is a part of being a respectful site owner because you're actively letting other visitors know "I didn't create this, someone else did." Respect the rules when requesting. This applies to both site owners and casual visitors alike. Whenever you're requesting a custom layout, button, graphic, or review, respect your fellow site owner who is putting their time and effort into this free service. Read the rules carefully before you request - not after you neomail your form. Not reading the rules means you don't care about the wishes of the site owner. Besides, reading through the rules won't take hours! When your site is more established and you've got a firm grasp of general site maintenance, you may want to start thinking about hosting special events. These events not only draw new visitors, but it'll also induce others to re-visit your site. Usually, most sites host these events during major holidays (Halloween, Christmas, etc.) or dates that are significant to the site (the day they opened). - The amount of effort and time you put into your special event is completely up to you. The larger or longer the event, the more time you'll need to put aside. Bigger events also mean more organization on your part. - Ask yourself whether you want to incorporate visitor interaction. A very minor way of getting visitor participation in your event is to hold some sort of a draw for custom graphics, which is the easiest way to get people involved. They simply have to neomail and you just take their names down. A harder (and more risky) alternative is to get entries for some sort of holiday-themed competition. If your site isn't well known, it's quite possible you'll have to do a lot of advertising to get a small amount of entries. The 2011 Golden Sandwich Awards - This summer event lasted an extremely long time (July 1 - August 23) and took up its own petpage. 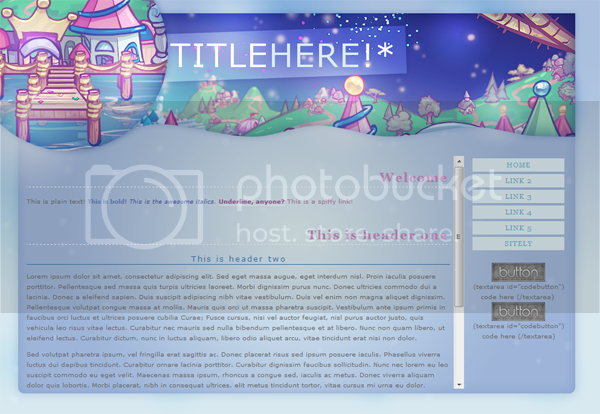 The idea was to involve the entire site community in an event that paid tribute to some of the best petpages on Neopets. The GSA had visitor interaction in the form of sending in nominations, voting for sites, and commenting. 12 Days of Christmas - This 2011 winter event was held during the month of December where visitors were encouraged to show their Christmas spirit anyway they can, whether it making a holiday-themed banner or writing a poem. Like the GSA, this event incorporated visitor interaction by voting. The special thing about this event was that I held it with my sister site, Delicious! If you're entering the site community for the first time, don't expect success to come quick and easy as it takes a lot of hard work for people to get to that point. It takes time to build a successful site that offers high-quality and useful content so don't be discouraged if you feel like no one visits your page. The way I see it, the amount of time you put into your site is indicative of how successful you want your site to be. If you're constantly putting things off, ignoring the growing waiting list of requesters, or not updating frequently, then chances are your site's level of success is at an impasse. The more time you put into things like site planning and updating, the more likely it'll stay a relevant part of the site community. If you're a site owner that takes any sort of request (graphics, buttons, reviews, etc), be prepared for times when you feel underappreciated. Whether it's someone taking their buttons and bolting without leaving a "thank you" or simply requesting a banner and not using it, this is an issue that many (if not all) request site owners have faced. Did someone request from you but didn't say "thank you" afterwards? The most important thing is to rise above and move on. Too often site owners completely freak out and post things like "I put in so much effort and the least you can do is thank me!!". Sure, a "thank you" is nice, but let's face it - there will be times when our work goes unacknowledged and you have to be prepared for this. If you quit because someone doesn't "thank" you, then owning a request site may not be right for you. No one complains when a requester is truly satisfied with their custom graphic and thanks the site owner but let's not go crazy because a small handful of people forget to thank us! I couldn't think of any good "V" words. Okay, so what do I mean by "vast"? Well, when it comes down to it, the site making world is extremely big, it's enormous, it's limitless - it's vast. There are countless opportunities that you can take. Are you good at making buttons and animation? Why not open a button request site. Do you excel at coding? Why not write up a coding tutorial. If you're artistic, there's a huge demand for personalized drawings and custom art. Not into drawing but still want to get creative? 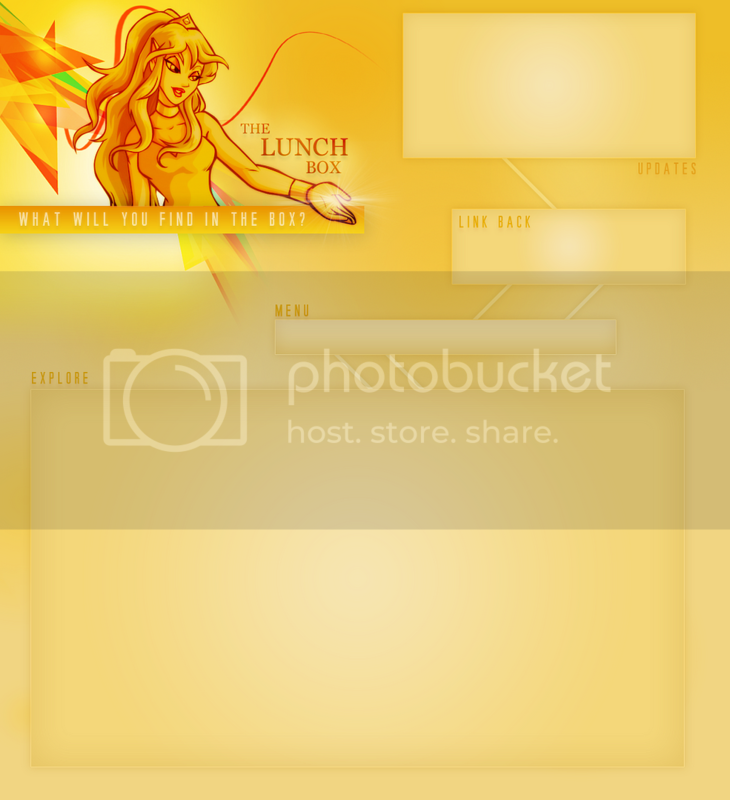 Try your hand at making banners or icons. The site making world is constantly growing and it's not only the type of sites that are endless, but it's also the vast creativity that owners display on their sites. One of the things I love doing most on Neopets is going to my favourite link directory and browsing through the newly listed sites. It's always fascinating to see what people come up with and you'll find a lot of hidden gems that you'll eventually bookmark. Because the site making world and community are so large, your possibilities are really endless and having a site is a great way to show off your creativity. No, writing a wish list to Santa isn't going to help your site, but writing a list of things you want to accomplish might! What I encourage all site owners to do (especially new ones) is sit down and write a list of things they want to finish, their goals, what they hope to achieve - anything! Sometimes writing things down means getting things done, which is the best way to keep your site moving forward and not two steps back. What does a brand of photo copiers have to do with site owning? Well, that's a good question. Let me start by explaining that one of the most common rookie mistakes that even experienced site owners are guilty of is "losing their coding". I'm always surprised when a site closes or goes on hiatus because "coding is lost". This is because they're not creating copies of their coding for safekeeping and instead, most rely solely on the copy they have on their Neopets page. With all of my sites and content, I use Dropbox to sync my folders on my laptop with my home desktop (this creates three similar copies of all my coding and content files). Additionally, I update my USB flash drive weekly, which is another way you can save your coding. Overall, I have four copies of my coding! There's no way TLB will ever close because I "lost" my coding! If you're going to put in the effort to create a site, at least save a copy of your coding on Notepad or Microsoft Word. It'll save you a lot of frustration if you accidentally reset your petpage or if something happens to your Neopets coding. Updating regularly is beneficial to both your site and your visitors. Visitors get new things to look at so they have a reason to revisit your site and your site stays up to date with fresh content. There's no set "rule" on how often you should update, but here's a very general guideline. Generally, these smaller items are much easier to make and take far less time than a layout. You'll want to look at how much content you already have. If your site is brand new and you only have 3 banners up, then you'll want to aim for weekly updating at the very least. Once your site is more established, you don't really have to update that often since there's already enough content to satisfy visitor choice, but you don't want to leave your site hanging for over a month either. The most common misconception about graphic sites is that they "have" to update with new content every week. Graphics are premade, meaning that they can be used over and over again (it's not like a request site where custom graphics are only used by a single person). For example, one 'hiatus' banner can be used by several people. Asking a graphics site to update weekly is only feasible for newer sites that have less content and thus, less options for visitors. The "updating" at these sites are usually based on timing - when the request status is open, then requests are made and posted, and things like that. It's very likely that a site is active and yet posts no new content simply because no one's requesting. In general, sites that offer requests for smaller graphics (such as buttons and icons) should have open requests at least once a week and fulfill at least 3 forms. As you can probably figure out, request sites are much more demanding in terms of updating than the previous category of "premade graphics" sites. This is because you're offering a service. If your requests are closed for 2 weeks straight, then you're not offering high-quality service. Sites that offer larger requests like layouts or in-depth reviews should aim to finish at least 4 custom requests per month (that's 1 per week). With request sites, a part of updating is how quickly you finish your requests. A person should never have to wait more than a week for their custom graphic or layout. It's simply way too long. My own goal is to finish and deliver graphics or reviews within 24 hours. These "larger" graphics not only take time in terms of design, but also coding. That being said, you probably don't want to overwork yourself and post a new layout every week since they're only premade, not custom anyway. As with "smaller" graphics, you'll want to see whether or not you're offering your visitors a healthy amount of choice in your layouts. If your site only has 2 petpage layouts to choose from, then you'll want to put some extra effort into uploading more layouts (possibly on a weekly basis). However, once your site gets more content, it's perfectly fine to update once every two weeks with a new layout. - If you own a request site, try to keep your updates updated. For example, if your request status is open but no one's been sending in requests, be sure to add a new entry in your updates saying "Requests are still open" with the most recent date. This lets visitors know that you're still active and updating even though no one's requesting. - If you go on hiatus or revamp, let your visitors know instead of just letting your site sit there. There's nothing worse than a graphics site that's collecting dust and hasn't been updated in months. Visitors are left wondering whether or not you're coming back. Zest (otherwise known as enjoyment or enthusiasm) is definitely one of the most important aspects of site owning. If you're not having fun, why would you spend hours dedicated to updating your site and creating new content? If you're not enjoying your site, then it becomes a chore and let's face it - chores are boring! Though site owning is a lot of work, don't forget to sit back and relax, and take a long look at everything you've accomplished. Give yourself a pat yourself on the back! The zest and passion you put into your site will be completely apparent to visitors as they can tell you're truly enjoying what you do. There are many times when I've visited sites and think, wow, this person really enjoys what they're doing! I can tell they're having fun. You notice a small survey tucked behind the TLB Rankings. You take it out and read the description that's written in messy handwriting. I love getting feedback from visitors because you are the reason TLB exists! Hopefully, these polls and your answers will help me try to figure out which parts of the site I should focus on, and what changes I could make around the site for you. You don't have to answer every question - just answer as many as you want. Feel free to write additional comments as well! 1. Where did you hear about TLB? 2. How often do you visit TLB? - I only visit a site whenever I need a graphic or resource. - I visit everyday because I want to see if the owner added anything new. - I like checking to see if the site offers any Extras, like rankings. - I visit graphic sites to get inspiration to make my own graphics/resources. 4. Rank all of the following in terms of importance, with #1 being the most important aspect of a site and higher numbers being the least important. 5. How often do you think a site should change their layout and why? - For this question, there aren't any "choices". Just write your opinion. - I tend to visit more ranked/recommended sites than non-ranked/recommended sites. 7. How often do you think graphic/resource sites should be updated? 8. What sort of graphics or resources do you want to see more of? 9. What is your preferred browser and screen resolution? 10. How often to you visit the "extras" at TLB? 11. What sort of "extras" would you like to see in the future? 12. Anything else you want to add? - You can use this spiffy textbox below to keep track of your answers. - It's perfectly fine if your answers take up more than one neomail. Just make the subject "Polling station (part 1..2, etc)". - Note: please number your answers so I know which question you're talking about. Thanks! The rankings have been taken down since they won't be updated often. However, I'll still leave my ranking explanations below since it's linked at various sites. I've gotten quite a few neomails about this since some of my rankings are very different from other sites. This is because I tend to look at a variety of factors when ranking, most of which other sites tend to ignore. I'll go through a few individual categories to give you a sense of what I look at (note: the list isn't in the order of importance, so the first bullet isn't necessarily the most important aspect I look at). - Site A arguably offers the highest-quality buttons I've ever seen, but requests are rarely open and whenever they are, they always close quickly. Their rules contain a few minor restrictions. - Site B has high-quality buttons (but not as high as Site A), an attractive layout, but their rules are very restrictive. - Site C has high-quality buttons (but not as high as Sites A or B), an attractive and convenient layout, and they offer very good service. They also have a friendly personality and aren't yelling at people for "not reading the rules". In this case, I rank site C the highest, site B behind them, and I don't rank site A at all. Though site A may have high-quality buttons, request sites are all about offering buttons to people who need one. Why would I bother ranking a site where people have the least chance of getting a request in? At the same time, sites need to conduct themselves in a professional manner, which site C has done. Site A has 600 links, all of which are useful. 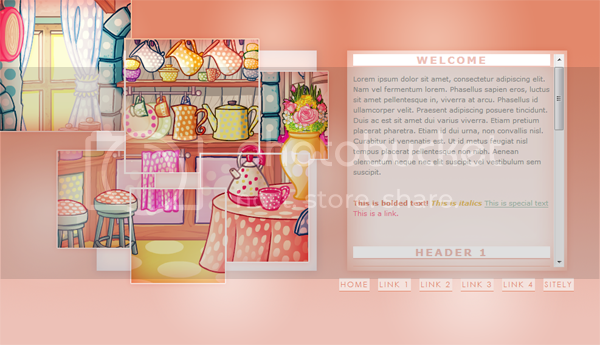 The layout's style is "one page", meaning any link can be found using Ctrl+F. However, the sites they rank are very low-quality and most don't offer the visitors anything useful. A few of the categories make no sense as they're lumping major categories into one big category (ex. Graphics and request into one). Site B has 1500 links, and a nice layout (fixed navigation, "one page" style layout). The site owner only updates weekly, but for the most part the site is free of broken links and outdated sites. Additionally, the owner only ranks or recommends sites that are not only active, but high-quality. Site C has 2000 links, a very professional anchored layout, and a friendly attitude towards visitors. The site is frequently updated and like the previous site, the owner here only ranks or recommends high-quality sites. With these three sites, I would rank Site B the highest, then Site C. Site A would not be ranked. Though C has many more links than B, link directories are all about convenience and one of the most convenient things a link directory owner can do is make sure visitors can use the Ctrl+F function to quickly and efficiently search for a site without guessing which category it's in. Site A, as you probably can guess, has way too many issues. Major categories shouldn't be lumped together. Also, recommendations and rankings are meant to give visitors a quick option to find a high-quality sites. For instance, ranking a button request site that hasn't had open requests in over a month isn't a great choice. So as you can, I take a lot of things into account when looking at a site. This makes my rankings a bit different from others and also gives other sites a fair chance at being ranked. By taking into consideration different aspects, I'm able to rank sites that may not have been ranked anywhere else. My rankings are about the entirety of the site, not just a small portion of it. After you left the beach with your friends that day, you couldn't help but think about the box. The mystery of the lunch box was still heavy on your mind so you decided to do some research. As it turns out, there was a professor at the nearby university that could help. Deciding to pay her a visit immediately and get to the bottom of this, you head out. You arrive at the professor's office and cautiously knocks on the door. A muffled voice booms out, go away and please do not disturb me. I have very important research, you see. Good day! Determined, you tell the professor why you're there to see her. You hear a small gasp and the door quickly swings open An elderly Lenny with dishevelled hair and crooked eyeglasses gazes down at you. Hmm? You want to know more about a lunch box? Well, it just so happens that I'm a professor with a degree in the history of important boxes. Here, come in. Let me get you a hot cup of tea. I was quite the avid adventurer in my youth, so I went out one day on a lengthy camping trip. Just two days in the forest and the most horrible thing happened to me. A wild, beastly Lupe appeared and made off with the last of my food! That fellow didn't even leave me a crumb, so I was stuck in the middle of nowhere with nothing to eat. I figured that I should make the trip back home, but hours later, I was famished. Spotting a nice bit of shade under a tree, I decided to get a bit of rest. When I took a seat, you'll never believe what happened next! I looked down and it appeared that I sat on a lunch box!" It must have been my eyes, I thought to myself, yes, that's it. I didn't see the box before because I was too hungry and thirsty. Opening the box, I thought I was still imagining things. Inside, there was a bottle of water, a history novel on the origins of Mystery Island, and a tuna sandwich with the crust cut off. It was the strangest thing, since if it were up to me, I would have packed the same thing! After devouring the sandwich and gulping down all the water, I put the lunch box in my backpack and continued my journey home. I hurried over to my friend's house to show him what I had found. I told him of my journey but when I opened up my pack, the box was gone! I searched everywhere but to no avail. It was as if I'd never found it at all. Of course, he thought I was making it up, but you and I know better, don't we? It was that one event that spurred me into my current field of study. I've scoured Neopia, looking for lunch boxes that I don't have in my collection. I vowed to find that one magical lunch box again. There are rumours that the mythical lunch box has been owned by some well-known Neopians, including King Coltzan, Count Von Roo, and Captain Scarblade. Much recently, the box came into the possession of a Neopian named Tloef. Yes, I see you're confused. I'm not sure how to pronounce her name either. She apparently goes by the name of Turnip as well. That's much easier to pronounce, in my professional opinion. Anyways, there must be something quite peculiar about Turnip, since she's had the box in her possession longer than any other. I've interviewed and contacted many people, but she's still a mystery. Is your question not here? Feel free to send it in! Will you join my SOTM/BOTM contests? Thanks for considering me, but if I do decide to enter any contests, I'll probably browse through them myself. I spotted an error. Can I send it in? Sure! Sometimes there will be typos or sites that have closed down. If you find anything that needs fixing, neomail me. I'd definitely appreciate it! Can you help me with my coding? I'll try to update as often as I can. I'll be busier throughout the school year (Sept - Apr), so like at my other sites, I will only be updating on the weekends for the most part. I use Photoshop 7 for the majority of my graphics/resources, but I also dabble in Paint when making borders and GIMP when animating. I've seen someone use your graphics without credit! What should I do? If you've spotted someone that hasn't given credit, or they've put our graphics on their site to redistribute them, please neomail me straight away. Why are your rankings so different? Why am I ranked so low? My rankings take into account various aspects of the entire site, not just a small portion of it like most rankings. Please consult the bottom of this page for more details. Why do you not include a lot of text on your icons? I tend to focus more on colouring and layers for icons. For me, icons are more for brightening up a page than for informational purposes, like a hiatus sign, for instance. My philosophy in making icons is that they're like small photographs so I spend more time playing around with colour balance and other things like that. I have a suggestion for new content! Great! If you have ideas for new graphics, resources, or any other content, I'd love to hear your thoughts. Click here and fill out a form. How do I credit your site? You can use a spiffy link back button on the sitely section, or a simple text link in your credits section. For example, "Banner from TLB" or "Request sign from The Lunch Box". If you're using a text link, be specific. Don't just say "Resources from (site name) and (site name)"
What happens if you spot someone that doesn't credit? I will contact the person in question and ask them to put the credit up. If they are stealing, I will let them know that they are actively stealing content that doesn't belong to them and they need to remove it immediately. If they choose to ignore me, I will send a report to TNT with no warning to the person as well as screenies of their site and possibly screenshots of neomails if this applies. There's a specific "requesting F.A.Q" here. If I request custom graphics, do I still need to credit? Definitely! For custom graphics, I'm not putting any watermark on so you need to link back to TLB with a button or text link. Do you any types of requests do you offer? Visit the request page and take a look at the links near the bottom. If it's not listed there, I don't offer it at TLB. What is The Lunch Box? It's just a simple graphics site that I whipped up because I was bored, and it started on August 8th, 2010. I always intended TLB to remain pretty small, but it seems the site took a life of its own and we've been growing ever since. Yes, yes, I understand that. I meant in the story. What is the box? So, there's a bit of the story on each page? What order should I read them in? There's no particular order for the middle, but obviously the story on the first page (Home) is the first part. The very last part is at the bottom of the this page. Why did you include this story on a graphics site? I love making graphics, but I also love writing stories! Plus, I thought it would give this site its own unique twist. What other sites do you own? Currently, Yooyuball Planet is my oldest site. It's sort of like a fan fiction loosely based on the Altador Cup. Then there's TLB, followed by How To Offer Great Service. That site title is pretty descriptive, huh? After that, there's Frequent Flyer, a review site. Open Eyes is my button request site. How To Write Great Reviews is another guide, and finally, Always Connected is a new "community" site. Lastly (hopefully), A Button Collection is a guide/resource for button makers. Layout v17 (Right Gone Boring) is designed and coded by me for TLB only (font from dafont; faerie PNG from Details; light PSD from officialPSDS; texture by So-ghislaine). All buttons are linked back to their maker. TLB's Guarantee, Ranking mini-updates, and Site Alphabet are original ideas created for this site. Please give proper credit if you want to incorporate them into your own site. Semi-custom system of requesting originally from Glow, used with permission. Site map created by Shingie. Organization for "Site Alphabet" originally by Evan at Esteem. For the decorative backgrounds, I simply recoloured them and provide the code for the background. The original patterns are all from deviantArt. This lunch box is magic. I know it and I'll prove it to you! Here, try something for me, okay? Whoever you are, just follow these instructions. First, take everything you think you'll need out of the box. Second, turn away and close your eyes. Count to ten, then turn around and look at the lunch box again. You seems a bit skeptical, but decides to follow the instructions nonetheless. You set the box down on the sand, turn around, and start to count. 1.. 2.. 3.. 4.. 5.. 6.. 7.. 8.. 9.. 10..
As you look back, you give a small gasp of surprise. The lunch box has vanished! You scramble around, looking for the box. It can't be a magic lunch box, you think to yourself, there's no such thing! While you were frantically searching, someone gives a shout in the distance. Oh, it's my friends, you think to yourself, I suppose this mystery will have to wait... You decide to leave the box behind, knowing that eventually someone else will find it. TLB opened on August 8th, 2010!